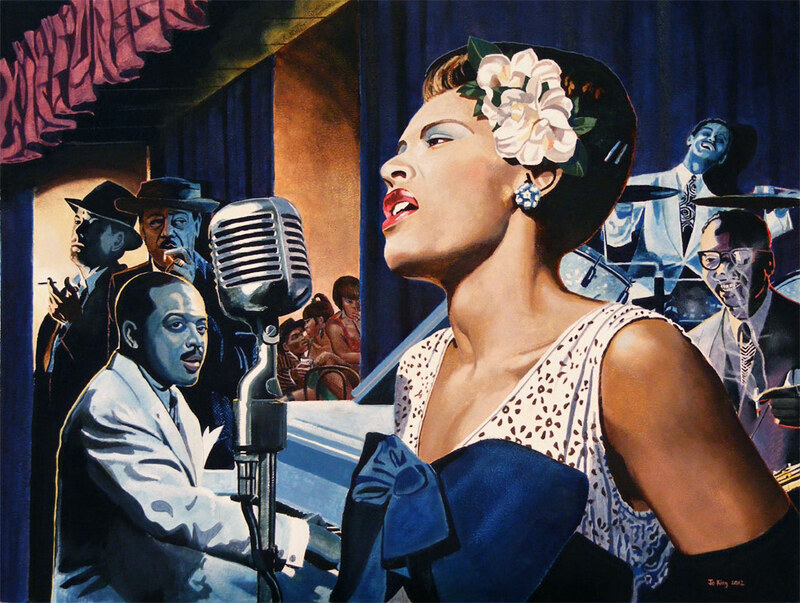 It is hard not to produce a cliche when painting a portrait of Billie Holiday. Yes ....this is based on a well known black and white photo by William Gotleib from the 1940s. I have surrounded her with various characters including Lester Young and Count Basie to give a deeper impression of her troubled existence. The little trio in the wings is a salute to Belgian collage artist Guy Peelaert who is one of my influences. This painting made the front cover of top USA jazz magazine Jazziz in their summer 2015 issue.